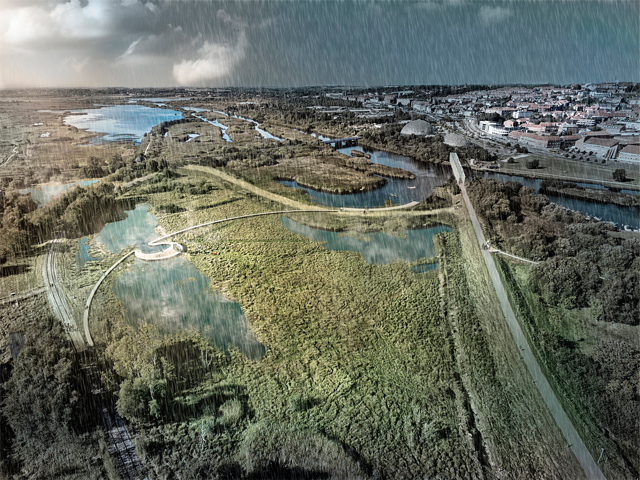 With climate change affecting rising water levels in low-lying settlements in Denmark, a new nature park has been proposed which will provide a sustainable ecosystem and protect nearby towns from the threat of flooding. 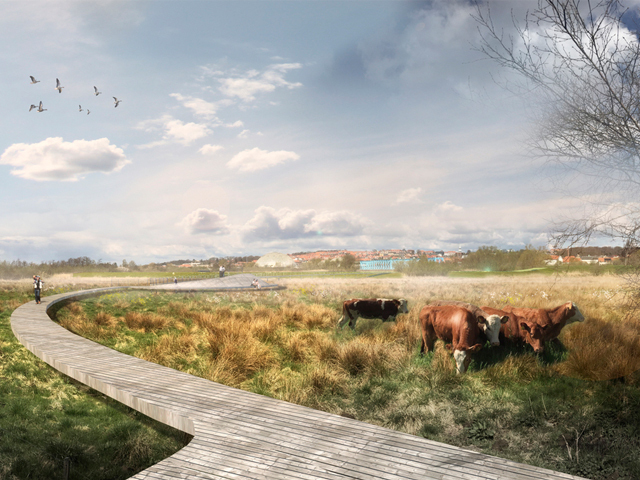 Storkeengen (Stork Meadow) is the proposed solution to the climate adaptation project in Vorup, which aims to resolve the city’s present and future climate change challenges. 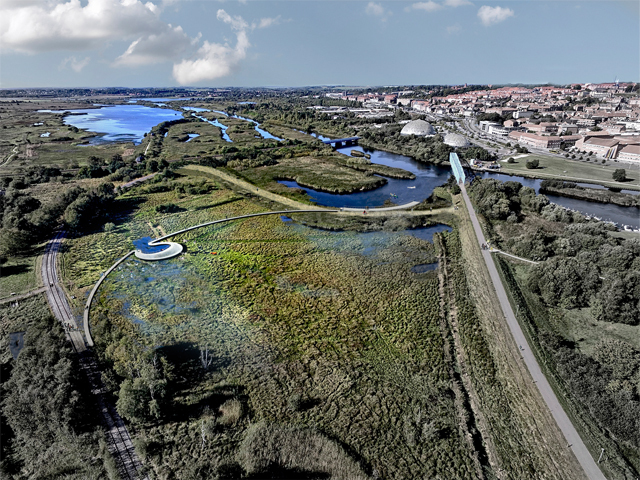 The 83 hectares of natural land, adjacent to the town of Randers, will be converted to a nature park that will be integrated with climate resilience straggles. It will also bring the natural delta up to the Gudenå River, the longest river in Denmark, and closer to Randers and its residents. 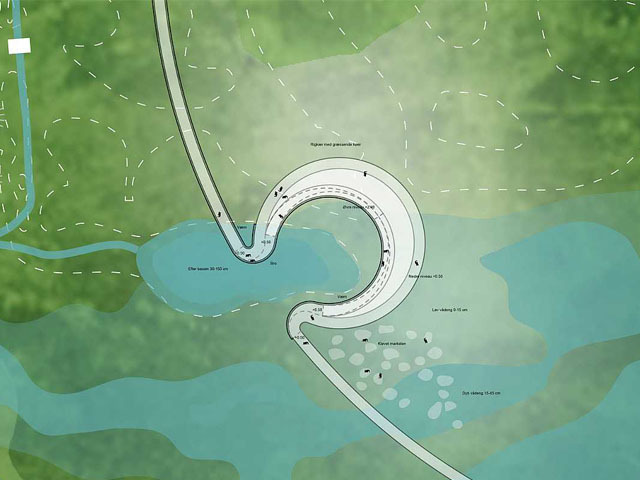 These strategies aim to handle increasing stormwater levels by combining technical wastewater solutions with a large public space intended for recreational and leisure activities, thereby increasing area safety, accessibility, and providing a new entertainment space for the people of Randers. Randers’, like many of its Danish counterparts, is a low-lying town, which therefore makes it highly vulnerable to floods, a threat that has been increasing as the risk of climate change continues to grow. 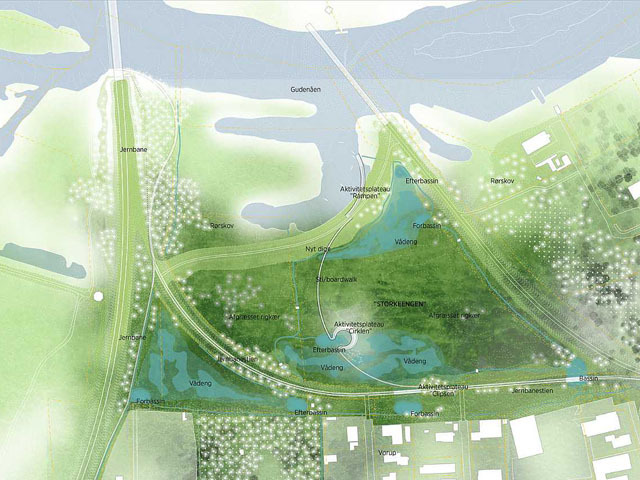 With the rising levels of the Gudenå River and a recent increase in rain, Storkeengen is the solution, proposed by CF Møller, providing a purposeful flooding ground that will see the town staying safe and flood-free. 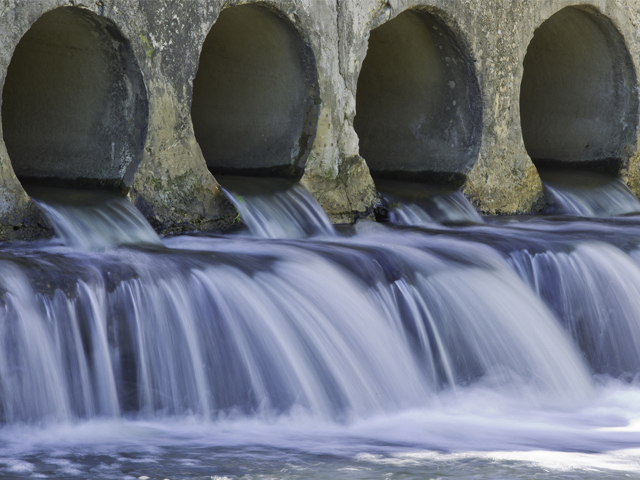 Climate change poses a pressing threat for urban planners and has encouraged architects to develop and integrate updated flood and stormwater management systems in order to combat this increasing risk. 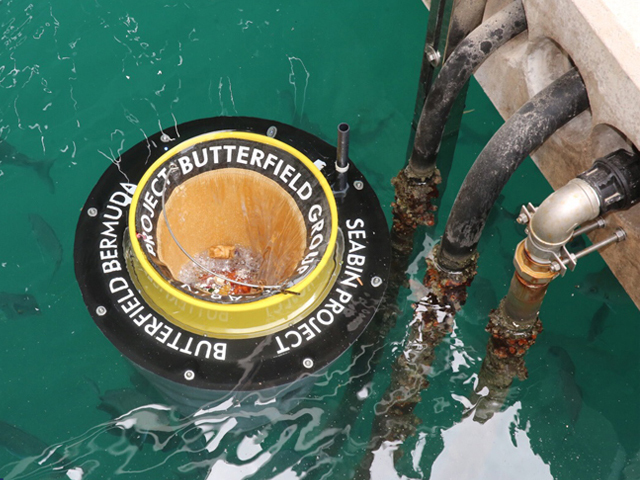 The roads and drains in Randers will be redesigned in order to prevent water build-up in areas where natural drainage is prevented due to non-porous surfaces. The grasslands of the soon-to-be nature park are, like Randers, also affected by floods. By turning them into wetlands the natural environment will be stabilised, alleviating the threat that flooding poses. 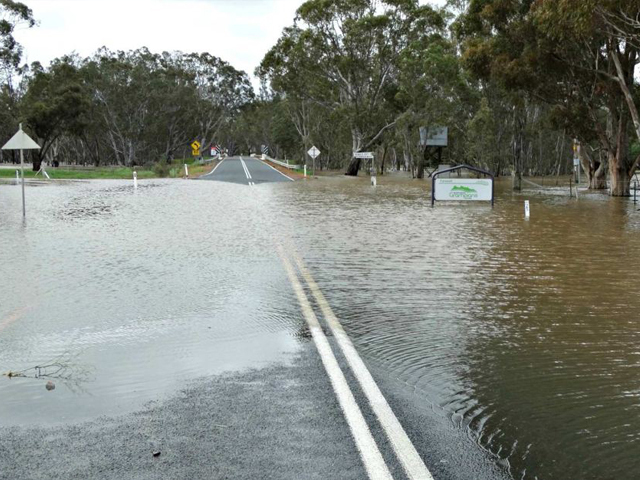 Cloudburst channelling routes will be dispersed throughout the town, collecting the rainwater from roofs, roads and carparks, and distributing to Storkeengen. Here, the water will be naturally purified in basins, which will be designed as wet meadow spaces, and filtered through to the Gudenå River. A dyke between Storkeengen and the river will ensure that the rainwater will be correctly purified and prevent the lower areas of Vorup from flooding. By integrating climate protection with urban and natural development, the town of Randers can be protected against the future effects of climate change. Storkeengen will provide an array of unique nature spaces, allowing for people to enjoy a public space, abundant with a range of activities and natural beauty. New pathways and an activity plateau will be created in order to provide adequate accessibility and an enhanced natural experience as visitors wander through the park in rain, hail or shine. Visitors can also go canoeing down the Gudenå River, allowing them to be surrounded by the park’s natural habitat. The pathways and canoeing experiences will allow for the unique array of flora and fauna to grow and be experienced up close and personal. From the wet meadow’s constantly changing habitat, to the grazing livestock, to the stunning vistas that surround the park, a new wonder of nature will be experienced at every visit. The raised platforms will be carved from grooved larch planks and will pave the way from the town out to the park, over the water meadows, including a jetty on the bank of the river for the canoes, and will diverge at a crescent moon-shaped platform which will act as the feature of the park. 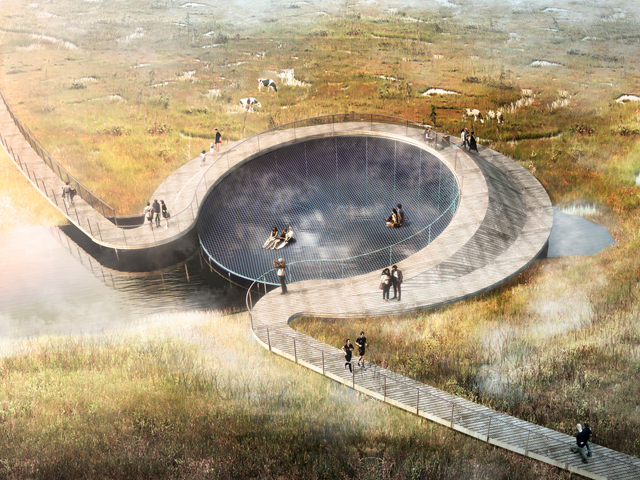 The platform will include a rope net that will be suspended across the circle, allowing for visitors to sit and enjoy the scenic views right above the water basin. 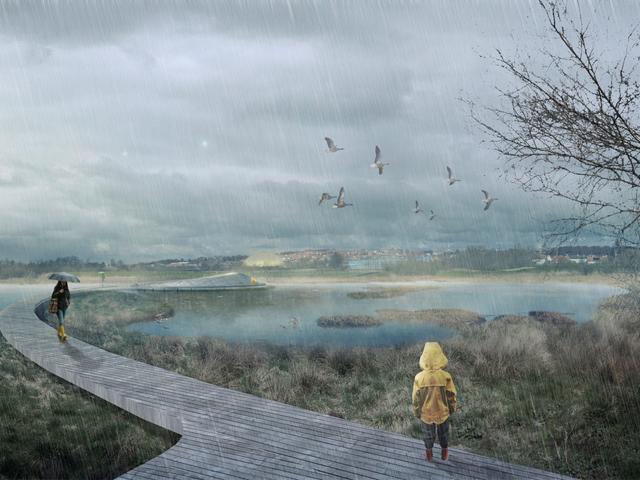 The Circle platform is aimed to target both individuals and school groups, “In order to tell the story of local habitat values, stormwater handling, and nature as an integrated part of the city of Randers," explained Palm. 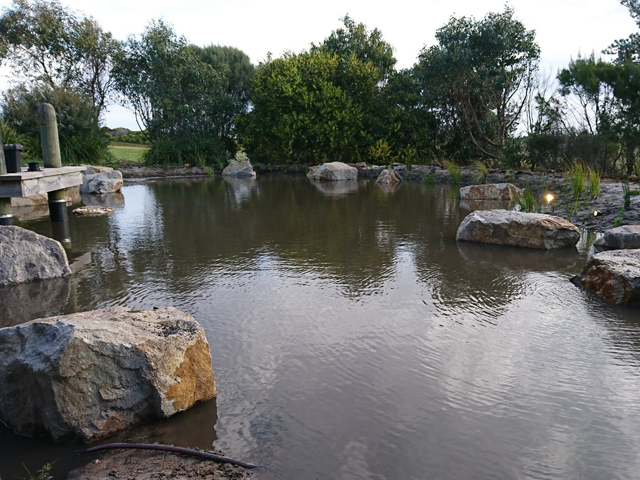 Storkeengen is a climate adaptation project that relies solely on nature, and is the result of the collaboration between CF Møller Landscape and Danish technical advisors, Orbicon, with Randers Vanmilijø and Randers Municipality. 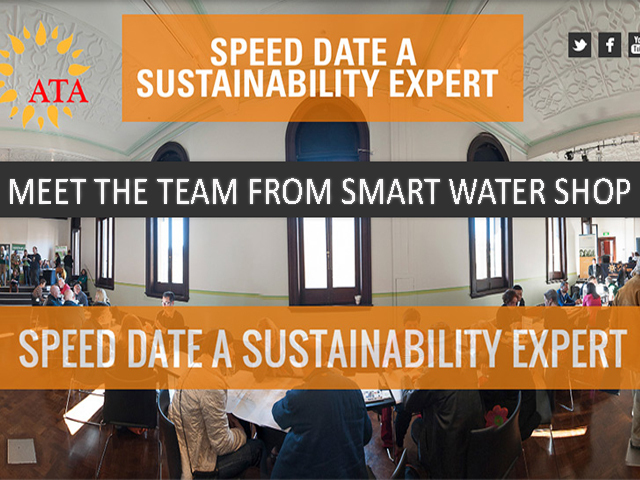 The project has involved the participation of many of the local community, future users, and stakeholders in the evolution of Storkeengen as a concept, ensuring an understanding of the connection between the town and natural landscape. 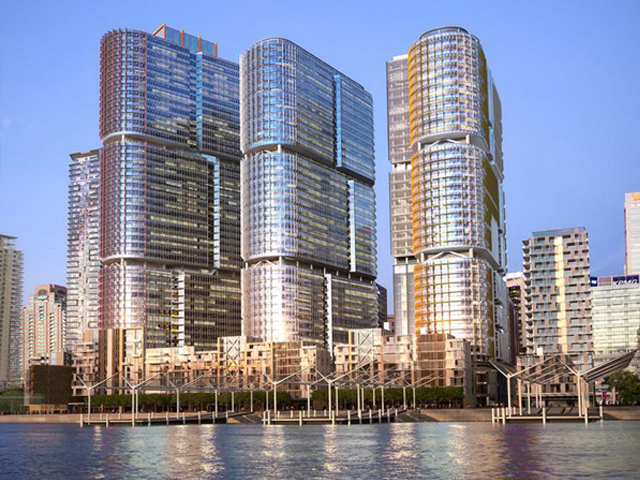 Work is slated to begin in late 2018 and aims to be completed by 2021.